The VARIAXIS i-500 with Siemens SINUMERIK 840D sl CNC control is designed for multi-surface machining and delivers reduced in-process time, high accuracy and unrivalled machine ergonomics. With its 12,000rpm 22kW spindle, combined with rapid traverse rates of 56/60/60 m/min in the X-,Y- and Z-axes, the machine offers outstanding productivity. Furthermore, the VARIAXIS i-500 Siemens also features a large work envelope capable of processing components up to 500mmø, with a 4.5 second chip-to-chip tool change. 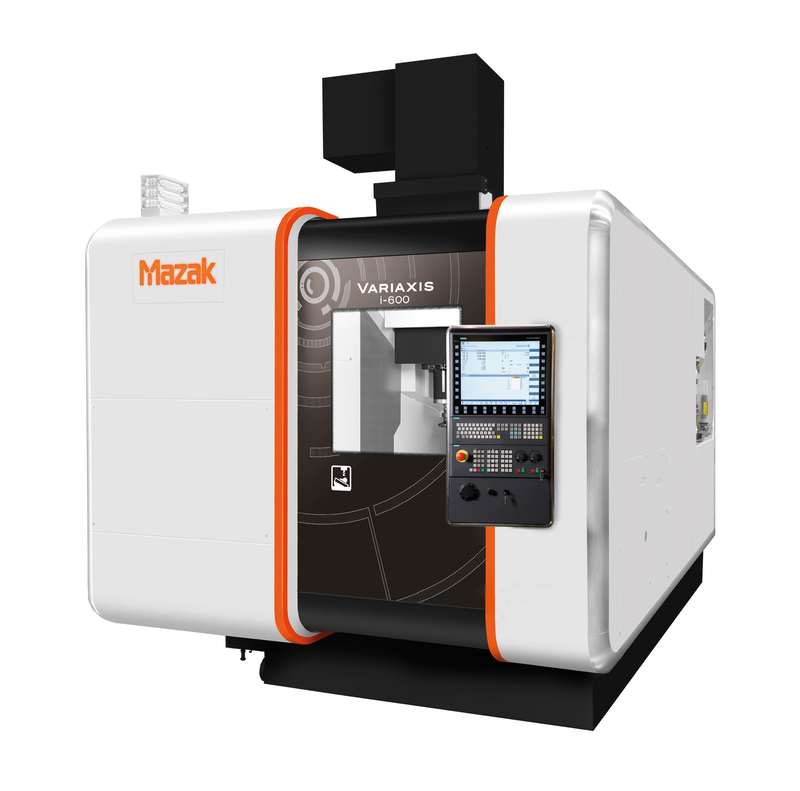 The second machine available with Siemens SINUMERIK 840D sl control is the VARIAXIS i-600. This machine boasts one of the largest machining envelopes available within its class, capable of machining workpieces up to of 700mmø and a maximum height of 450mm. Ideally suited to engineering applications requiring fast set-up and reduced in-process time, enhanced performance levels are guaranteed with a high-speed 12,000rpm main spindle and exceptional traverse rates of 60/60/56m/mm in the X-,Y- and Z-axes. The VARIAXIS i-600 Siemens is also capable of exceptional accuracy, achieved with the use of a full cast structure and gantry configuration, ensuring optimum rigidity with no Y-axis overhang. Roller gear cam technology and linear roller guides are utilised for enhanced positioning accuracy and reduced friction. Cooled ballscrews ensure stable machining accuracy over extended periods of high speed operation. The VARIAXIS i-600 Siemens is also equipped with a number of intelligent functions, including Intelligent Thermal Shield which recognises and adapts to changes in the ambient temperature, automatically compensating to maintain accuracy. The machine also has Active Vibration Control (AVC), for reduced tool-nose vibration and wear, as well as high quality machined surface finishes.